Dr. Moussa received her Bachelor of Medical Sciences and Bachelor of Dental Surgery from the Faculty of Dentistry, Kuwait University, where she was granted the Deans List Award for Outstanding Academic and Clinical Performance. 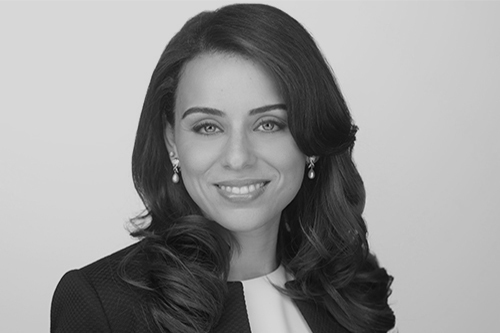 Dr. Moussa then attended the Endodontics Fellowship Program at University of Florida, after which she completed her microsurgical endodontic specialty training at the University of Illinois at Chicago, where she also earned her Masters Degree in Oral Sciences. In 2010 she was awarded AAE/ Dentsply Resident Award by the American Association of Endodontists as well as First Place Postdoctoral Clinical Science Young Investigator Award by the American Association of Dental Research, in addition to First Place Graduate student Clinical & Behavioral Research Award at University of Illinois at Chicago. Dr. Moussa is a board certified member of the American Association of Endodontists. She was recently accepted into the AAE Leadership Development Program, through which she aspires to advance her professional career by contributing to the specialty. She actively participates in continuing education and her special interests include regeneration and traumatic injuries. Dr. Moussa is currently a Clinical Assistant Professor at the University of Illinois at Chicago. She is a member in the American Association of Endodontists, American Academy of Implant Dentistry, Illinois Association of Endodontists, American Dental Association, Illinois State Dental Society, Chicago Dental Society and the Edgar D. Coolidge Endodontic Study Club. Dr. Moussa believes in involving patients in the decision-making process, through comprehensive treatment planning in the field of nonsurgical and surgical endodontics and implant dentistry, and strives to provide painless and stress-free treatment.